Prime commercial location for this property located on the main highway in the middle of Cabrera. GREAT OPPORTUNITY!! Fully functioning vacation villa for sale!! Villa CoraLeah is your gorgeous tropical sanctuary far from the hustle and bustle of the tourist resorts and is absolutely the most perfect family vacation spot along the north coast of the Dominican Republic. Entering this magnificent fully furnished 3000 sq. 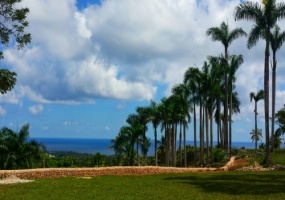 Excellent property overlooking the vast sea and the town of Cabrera.Located only 5 minutes from the center of town on the edge of a high ridge.There is a small stream running by the property , lots of possibilities.Nice paved road access Water and electricity . Very nice condo with an amazing ocean view. Located in a gated community on the green hills of La Catalina only 5 minutes from Cabrera's center.Features:Fully furnished Swimming poolSpacious garage24 hrs securityFord Escape 2007 with 87. Looking for a million dollar ocean view condo?Looking for an excellent income condo? (US$150 daily) Well look no further, this 2 bedroom , 2 bathroom condo is the perfect option. 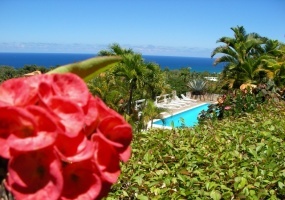 Located in the hills of La Catalina overlooking at the vast ocean is this very clean, and beautiful condo. Steps away from the pool , private parking, internet, cable tennis court. 24hrs security. This villa is one of the most picturesque that you will find. it has a beautiful style with a very tasteful decor. The views are unobstructed, you only see the immense blue ocean and the lush green vegetation. Prime location for this excellent commercial property.Biggest and busiest supermarket/ department store steps away from Cabrera's main square .The store is on street with the most human traffic in town , approximately 450 mts2 (4.900 Sqf) of space on the ground level and second story anothe 450mts2 . Lots of space . 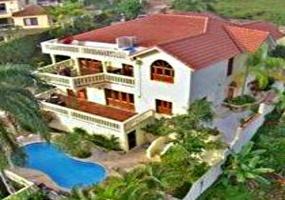 This home is in excellent condition and the layout is very functional since every room has ocean view and pool access .The garden is well kept and it has many fruit trees and colorful tropical flowers.The property is located in a gated community on the hills of Rio San Juan only 5 minutes from the center of town and many tropical beaches.Private water well.